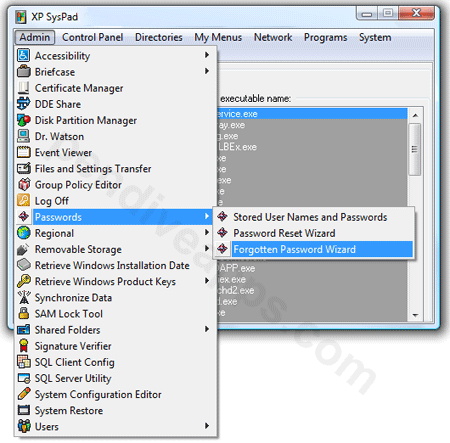 XP SysPad is a portable program launcher that gives you convenient, quick and easy access nearly every feature on your PC. Easily access your applications, directories, system utilities, control panel applets, System passwords, Windows and Office product keys, running processes and much more. Once started, XP SysPad will remain on your taskbar, making it convenient to access. Authors Website: The author appears to have abandoned this project. Note: You can uninstall XPSysPad from your computer once you have verified that it is working from your portable device.